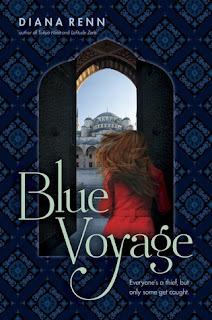 Today we are partnering with Saichek Publicity to spotlight Blue Voyage by Diana Renn. We also have a giveaway for one copy of Blue Voyage, open to anyone in the US. Thank you to Saichek Publicity for providing the giveaway copy! An intricately crafted mystery set in the contemporary Middle East. Zan is a politician’s daughter and an adrenaline junkie. Whether she’s rock climbing or shoplifting, she loves to live on the edge. But she gets more of a rush than she bargained for on a forced mother–daughter bonding trip to Turkey, where she finds herself in the crosshairs of an antiquities smuggling ring. These criminals believe that Zan can lead them to an ancient treasure that’s both priceless and cursed. Until she does so, she and her family are in grave danger. Zan’s quest to save the treasure—and the lives of people she cares about—leads her from the sparkling Mediterranean, to the bustle of Istanbul's Grand Bazaar, to the eerie and crumbling caves of Cappadocia. But it seems that nowhere is safe, and there’s only so high she can climb before everything comes tumbling down. 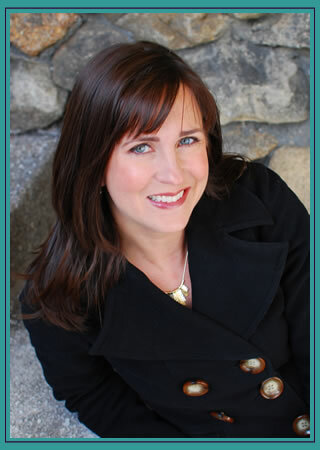 I write contemporary novels for young adults featuring globetrotting teens, international intrigue, and more than a dash of mystery. TOKYO HEIST, LATITUDE ZERO and BLUE VOYAGE are all published by Viking Children’s Books / Penguin Young Readers Group. I’m also the Fiction Editor at YARN (Young Adult Review Network), an award-winning online magazine featuring short-form writing for teens. When I was five years old, I knew that I wanted to be a writer. I always loved writing in school, and I was fortunate to have had many encouraging teachers. I also knew that in order to be a good writer I needed to be a good reader. I majored in English at Hampshire College, and earned my M.A. in English and American Literature from Brandeis University. Over the years I’ve juggled all kinds of jobs in the word business to support my writing habit. Among them: a college writing instructor, an ESL teacher in South America, an editor in educational publishing, a textbook writer, a script writer for language instruction videos, a bookseller, and a comic book shop salesclerk. (Can you guess which was the most fun?) I love to travel, and I’ve enjoyed teaching students from all over the world, so international experiences are a large part of my fiction. I grew up in Seattle, and I now live outside of Boston with my husband, our young son, and a moody cat. In my spare time I love taiko drumming, bike riding, and, of course, traveling. One winner will receive a hard copy of Blue Voyage. This giveaway is open to US residents ages 13 and up.